Selecting the appropriate waste heat exchanger or steam boiler system for an industrial kiln involves much consideration. Important areas of concern are controlling/bypassing exhaust waste heat, optimizing heat transfer performance, steam operating pressures, equipment size, weight and installation. 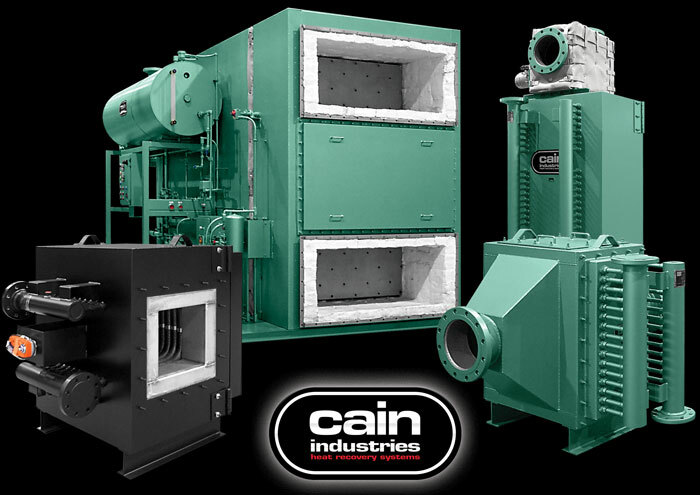 Cain Industries' industrial kiln heat exchanger family is specifically designed to address these concerns and more with standard design features not found in conventional heat recovery equipment. Industrial kiln exhaust stream BTU is transferred to heat sinks such as water, ethylene glycol, thermal fluids or steam production. Suitable fuel types for combustion sources include natural gas, propane, digester gas and fuel oils. Overall pollution is reduced due to lowered fuel usage.